Private coaching sessions include evaluation of your game, observations of strengths and items of concern, how to effectively make improvements, a practice plan, and more. Video analysis is also available with your coaching session and allows you and your coach to see your game from different angles and in slow motion for finer detail. Email us for more information and to schedule your lesson today. Ron Hatfield is one of only 26 USBC Gold Certified Coaches in the world. He served as Assistant Coach for Junior Team USA in 2002 and 2003 and was the Head Coach for the Ukraine National Bowling Teams from 2008 through 2013. 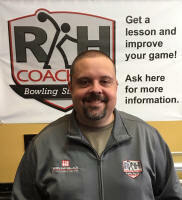 Ron was the co-founder and Head Coach (7 years) for the nationally recognized and modeled high school bowling program at Westerville South (Ohio). He also served as Co-Head Coach for the Arizona State University Bowling Teams. Ron also serves as a consultant to many bowling clubs and national teams around the world, as well as some college teams here in the US. He is active in conducting clinics and seminars for bowling globally. Ron has been voted as one of Bowling Journal International’s 100 Top Coaches every year since its inception in 2005. He is also the personal coach for PBA and World Champion, Rhino Page. Ron is one of the owners of the Ye Olde Pro Shoppe at the Columbus Square Bowling Palace. Ron has been bowling since he was five years old. He has 15 - 300 games and a high series of 847. He was captain of the Ohio State University Bowling Program for three years and was an Academic All-American. Ron can help you with whatever your bowling needs are, whether it is your physical game, mental game, lane play, or equipment. Individual and group lessons are available, as well as video analysis. Improve your game now and get more enjoyment out of the sport you love! Jeff has over 25 years of coaching experience. He earned his USBC Silver Level Coaching Certification in 2007. He provides individual, group and team coaching sessions with video analysis. He provides a custom fit analysis and can help you build your bowling arsenal so you can maximize your bowling experience. He works with bowlers at all age and skill levels. He began coaching high school bowling in 2001 as the Head Coach of the Jackson Polar Bears in Massillon, Ohio. After moving to Columbus, Ohio, he joined the Westerville Central Warhawk’s coaching staff and is still a Warhawk’s coach today. He has taken 3 different teams to the Ohio High School State Finals. 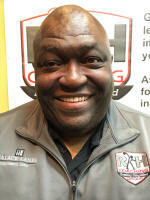 He has coached several collegiate teams starting in 2005 as the head coach of The Ohio State University women’s club team. He started the bowling program at Notre Dame College in Cleveland, Ohio in 2009, coaching there for two years. In 2011, he coached the men’s team at Marian University before moving back to Ohio in 2012. He has coached 4 different teams at three different schools at the USBC Collegiate Team Finals. He has been an avid bowler for over 50 years, winning the Pennsylvania State Youth Bowling Championship as a senior in high school, and he also competed collegiately for Robert Morris University in Pittsburgh, PA. He has 2 – 300 games and a high series of 787. 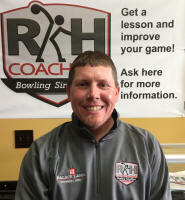 Whether you are a beginning bowler wanting to learn how to bowl, an experienced player wanting to take your game to the next level, or just want a tune-up to help get you out of a slump, Jeff can help. Irion Mitchell is currently a USBC Silver Certified Coach. He was an Assistant Coach for the Westerville South High School Bowling Program from 2000-2007. He also served as the Head Coach for the Boys’ Varsity Team from 2007-2009 and as an Assistant Coach for Columbus Academy School in the 2014-2015 bowling season and privately coaches a number of individuals, both adults and youth. Irion also coached High School Football for 13 years. Irion is still a competitive bowler in the Columbus area and in many state and national tournaments. He possesses multiple honor scores in different centers. He is one of the owners of the Ye Olde Pro Shoppe, and in his spare time he is a singer, songwriter, and poet. Julie has been coaching at some level for 35 years and she is USBC Silver Level Coaching Certified since 2007. Julie is one of the founding coaches (along with Ron Hatfield) of the Westerville South High School bowling program and was there from 2000-2005, and then she moved to Westerville Central in 2006 where she still remains as Head Coach. As a coach Julie has appeared at the Ohio High School State Championships 14 of the 16 years coaching. Julie is part of the Ohio High School Athletic Association for Rules Interpretation since 2006 and is also on the Ohio High School Bowling Board of Directors since the board’s inception in 2009. Julie has appeared in the Bowlers Journal Top 100 Coaches from 2009-2014. In 2012 Julie was named the National Federation of High School Sports Coach of the Year for bowling. Julie is no stranger to competition herself. She started bowling at 8 years of age, but at this time softball was a huge part of her life. As a senior in high school her team won the State Championship with Julie pitching a one hitter. After high school she went to West Texas A & M to focus more on her bowling career. In her years there she was two-time Collegiate All-American, was part of two National Championship Teams, and earned an MVP at the National Championships. After college Julie moved on the Lady’s Professional Bowling Tour where she earned a Northwest Regional Title and has numerous State and Local team, doubles, singles, and all-events titles. All of these earned her a spot in the Central Ohio USBC Hall of Fame in 2011. As an adult Julie went on to work in the bowling industry and is currently the Assistant Manager of the Columbus Square Bowling Palace where she has been for 21 years. 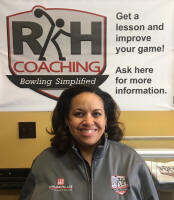 She gives lessons to people of many ages and talent levels, but has a passion for teaching the beginning steps to the game and helping get athletes enthusiastic about the game of bowling. 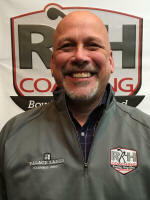 Jamie is a USBC Silver Coach and one of the newest additions to the RKH Coaching Group. He has been Bronze certified since 2008, taking the class when he was 15 years old. After attending Westerville Central High School, he graduated from Notre Dame College where he excelled on the lanes and in the classroom. As a member of the NDC bowling team, he made 3 Intercollegiate Team Championship appearances. Moving on from collegiate bowling, Jamie looks forward to giving back to the sport that has offered so much to him. Joining Ron and RKH was the perfect fit. He looks forward to working with everyone who is passionate about improving his or her bowling, beginner to advanced. Blair Blumenscheid is a USBC Silver Level Coach. She picked up a bowling ball when she was 5 and she’s been chasing her dreams since. Over the years, she has been privileged to learn under some of the best teachers of the sport. While in high school, Blair competed on the St. Francis DeSales High School Bowling Team. She earned two JTBA titles and several OYBT titles. She went on to compete at The Ohio State University, where her bowling success and leadership off the lanes earned her SMART scholarships to pay for her college. At OSU, she was the 17th collegiate rookie in the nation as a freshman and a three-time Academic-All American. Blair had four All-Tournament Team finishes and served as president of the Ohio State Bowling Club for two consecutive years. She was also awarded the USBC Youth Female Ambassador of the Year in 2010. Blair graduated from OSU in 2013 with a degree in strategic communication and is currently the Social Media Manager for Storm Bowling. The passion of her coaches inspired her to follow in their footsteps. Blair coached for the Worthington Christian High School Bowling Team in 2011 and Westerville Central High School Girls from 2012-2014. She continues to bowl competitively and travel as much as she can. She has shot two 300 games and her highest series is 782. She has competed on the PWBA tour. Blair also serves as director on the Central Ohio USBC Board of Directors and IBC National Youth Committee. Her coaches fuel her passion for the game and her students motivate her to continue learning so she can relay that knowledge to them. Blair personalizes lessons based on each student's age, skill level, and individual goals. She wants to get to know your personal style so you can be part of the sport happily and healthily for the rest of your life. Dave's passion for bowling started after moving to Columbus, Ohio in 2005. After joining a league with a few co-worker's, he began spending most of his free time either bowling, watching bowling or reading about bowling. Dave became a USBC Bronze level coach in 2006 and a Silver coach in 2015. He was a member of the winning team in the Columbus City Mixed Team Tournament of 2009, and has achieved a high series of 810. For several years he bowled in multiple leagues year-round before knee and back injuries changed his focus. Dave completed training and became a certified pro shop operator in 2011. He now bowls in leagues a couple times a week and is driven to help others reach their goals on the lanes through coaching and optimal use of equipment. In the summer of 2015 he realized another bowling dream by becoming an employee of Ye Olde Pro Shoppe. Mary Wells is a 3 time Junior Team USA member, and has had the opportunity to travel around the world, bringing a total of two gold medals, one silver medal, and one bronze back for the USA. She attended Westerville Central High School where she earned three First Team All-Ohio achievements, as well as a State Runner-Up team title and a State Champion title in 2010. During high school Mary participated in many tournaments earning 9 JTBA titles, 3 MJMA titles, and a National Youth Team Open title with another member of the RKH Coaching Group, Jamie Robinson. After high school Mary attended the University of Central Missouri where she earned one Academic All-American, one Second Team All-American, one First Team All-American, and Rookie of the Year in 2013. Mary is now pursuing her education at The Ohio State University. She is a USBC Silver Certified Coach. Mary continues to bowl in high-level tournaments and has aspirations to make Team USA again in the future. She looks forward to learning more about the game through helping others. 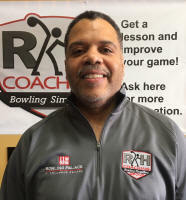 Ron Lapping has been a USBC Silver Certified Coach for several years and does most of his coaching at the high school level. He has been an integral part of the coaching staff for Westerville Central (Ohio) High School Bowling Team for 7 years, and has helped guide them to many state championship appearances. He is also a very good competitive bowler, posting a high game of 300 and a high series of 821. Ron has a fantastic coaching demeanor and communicates his messages very clearly. He has the knowledge and experience to coach bowlers of all ages and skill levels. He is a fantastic addition to the RKH Coaching Group. Jay's love for the sport began at the age of 6. While growing up he travelled the state of Ohio with friends and family to many youth and pre-college tournaments with much success. He selected his college based on his love for the sport as well. While he was accepted at the Ohio State University he found his niche in eastern Kentucky bowling for the Morehead State University Eagles. Their team was nationally ranked 3rd and 5th while he attended. In 1992, during his senior year, they won the ACU-I National Championship. His first job out of college was straight into the bowling industry with AMF bowling centers in their Management training program. He participated in their assistant manager training program for eight months before being fast-tracked into his own 24 lane center in Nashville Tennessee. He worked within the bowling industry for 4 years until he found his current career match with Nationwide Insurance in 1997. As a 20-year employee of Nationwide his love for the sport has not waned. Today Jay stays extremely active within the local USBC Association as well as competing. Jay has a strong desire to make a difference to those with whom he comes in contact. 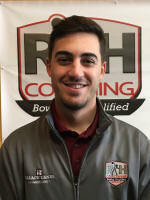 As a proud member of the RKH Coaching Group, Turbo, Brunswick, DV8, and Radical bowling staffs he seeks to promote the sport and their brands in the best ways possible. All that being said to say this... During Jay's 40 years in the game there have been many people who have paid it forward to advance his knowledge and exposure within the game...now he feels it's his turn to pay the future of our sport back. Jake McKnight is currently a USBC Silver Certified Coach. He has been bowling since the age of 6 and still competes in a few adult leagues around the Columbus area. Jake has been a coach for the Gahanna (OH) Lincoln Lions high school bowling team for several years, and helped lead the girls’ team to a state title in 2017-18. He is an assistant coach for the girls and boys varsity teams, with the hopes of being a head coach someday. 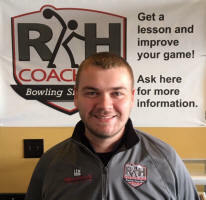 What drives his passion for coaching and bowling is helping adults and children with concerns in their games, and potentially saying or doing something to positively affect their lives, on or off the lanes. Yvonne Quiero is a USBC Silver Level Coach and has been bowling in leagues for more than 20 years. She has a passion for the sport, and although she doesn't get to bowl as often as she would like, she looks forward to the new opportunities that coaching brings. Her interest in becoming a coach was sparked by her desire to help others who enjoy the sport and have a desire to be better bowlers. The opportunity to provide meaningful direction to youth and adult bowlers is worth every minute. Becoming a coach brought new perspective on the importance of the mental game and how to encourage others to increase their confidence in their own abilities. She has a son who enjoys the sport, and he is her inspiration. In 2017, Yvonne joined the coaching staff of the Gahanna Lincoln High School Bowling Team and in 2018 became one of the Head Coaches. She is looking forward to continuing her work with the young athletes and hopes not only to improve their bowling skills, but also help them to be successful in life. This opportunity to give back by doing something she enjoys is priceless. Ernest Sevous has been a part of the bowling community for 46 years. He started bowling in the junior programs of Cleveland, Ohio. As a teenager, Ernest was able to experience high school bowling as well as Cleveland’s junior traveling league. His parents were avid bowlers who made sure he had every opportunity to bowl in many events. His first year of college bowling at Illinois Institute of Technology, Ernest led the conference with high average for that season. At Howard University, Ernest was a coach and member of an undefeated team in the MEAC conference. He stayed in Washington, DC for several years bowling in many of the area’s competitive leagues. He had the opportunity to work with one of the most successful junior programs in NCABA held at Capital Plaza lanes. In 1995 through 1997, Ernest was the captain of Team Unsponsored that made a few top ten finishes in the Brunswick World Team Challenge tournaments held throughout the country, with their best finish of 2nd place (by one pin) at the Mechanicsburg, Pennsylvania stop. In 1999, Ernest moved to Columbus, Ohio to get closer to his family that still resided in Cleveland. Ernest quietly joined the bowling community making friends along the way. He's competed in three different versions of the travel league and several of the area’s top scratch leagues and a few of the larger handicap leagues. Ernest has several 300s in leagues and tournaments, four 800s with a high of 847. He’s participated in two US Opens with a composite 190 average, and he has won several tournaments throughout his bowling career. Ernest would like to pass on his experience through coaching and help inspire those who want to listen. He obtained his USBC Bronze Certification in June 2017 and his USBC Silver Certification in November 2018. Derek May is a USBC Bronze Certified Coach, and is working towards his Silver Level certification. He first picked up a bowling ball at 12 years of age and has been bowling ever since. He bowled in RKH Coaching Group junior leagues for 5 years. He also has pro shop experience and is currently working at Ye Olde Pro Shoppe. During his high school career, he bowled for Beechcroft (OH) High School. Currently he attends Bowling Green State University where he is a member of their collegiate bowling team. Early in his freshman season, he made his first All-Tournament team. While in college, he also competes in tournaments on his own time. He has a great passion for the sport and wants to take bowlers’ games to the next level. Todd Burns is currently a USBC Bronze Certified Coach, and is actively working towards Silver Certification. He grew up in a bowling family, and his grandfather introduced him to the sport at age 5. He has bowled various youth and adult leagues every year since. He has three 300 games and four 800 series, with a high of 834. He has two daughters who bowl, and watching them and their friends’ passion for the sport inspired him to become a certified coach. In 2018-19 he joined the coaching staff for the Gahanna (OH) Lincoln high school bowling teams where he serves as an assistant coach. He looks forward to being able to help grow the sport that has meant so much to him and his family. • Ye Olde Pro Shoppe (Columbus, Ohio) – Drilling and working in the shop as well as assisting with demos and clinics. Marcy McCorkle is a USBC Level 1 Coach and has loved the sport of bowling since she has been a child. Being involved in a variety of athletic activities growing up and presently has given her the opportunity to share this enthusiasm with her three children. Her sons were introduced to bowling when they were ages 3 and 5 by their talented grandfather, Bill McCorkle. He taught them his passion on the lanes and was proud to lead and witness them accomplish many great things in the sport at young ages. The value and connection of bowling is very prominent in Marcy’s family and inspired her to become a coach so she could share and support life skills that bowling provides: patience, fitness, coordination, social connection/awareness, and teamwork. Marcy is dedicated to learning and coaching emotional intelligence and leadership to implement those skills in youth. She wants to inspire them to excel in all areas of life with confidence, drive, and ability to create and execute their vision to their fullest possibility. Marcy is devoted to build connection, fun, and passion with her students, to celebrate their successes, to teach them leadership, and to support them to be the athletes they aspire to be. Dream, Declare, Deliver. If it is to be, it is up to me, and we as a unified team working together to generate the most influential impact for youth, ourselves, and our communities. Web design ©2008-2019 DrumBoy Productions All rights reserved.